I’m pretty sure the farmers at the market have partnered up with the cicadas using their spellbinding drone of staccato calls to hypnotize you to buy way more vegetables than you can consume in a week’s time. Kind of like shopping for groceries while you’re hungry, but somehow ok? 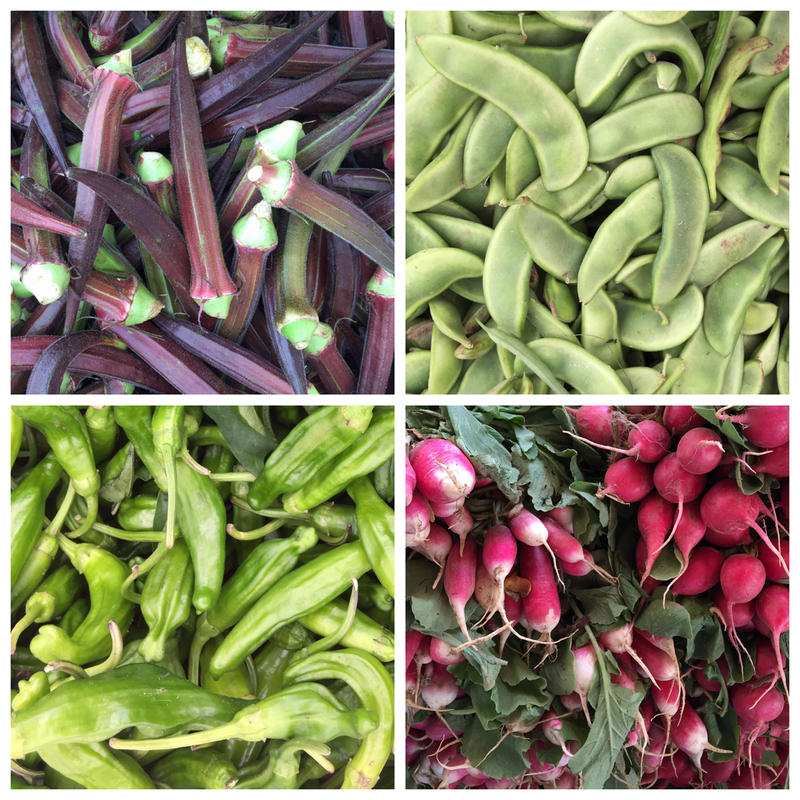 The abundance of the summer is flaunting itself at the market that’s for sure. Unfortunately, due to my over enthusiasm, some radishes were stuck on the bottom of the vegetable drawer for a week. They got a bit too soft for a fresh salad and my sous chef (a.k.a my husband, credit goes to where credit’s due) suggested making pickled radishes! Brilliant. First of all, SO SORRY for my laziness over the past 9 months. Rest assured I have been cooking and feeding my now hubby, but wedding planning over the past few months really took a toll. Hopefully, I will get to write about that journey one day, but now that the wedding is over… let’s get cookin again! After 2 weeks of the summer’s delicious sweet corn and grilled chicken, the law of diminishing returns has set in. To rescue us from the summer food doldrums, I browsed through the list of saved recipes I’d intended to try over the years but ended up collecting cyber dust. 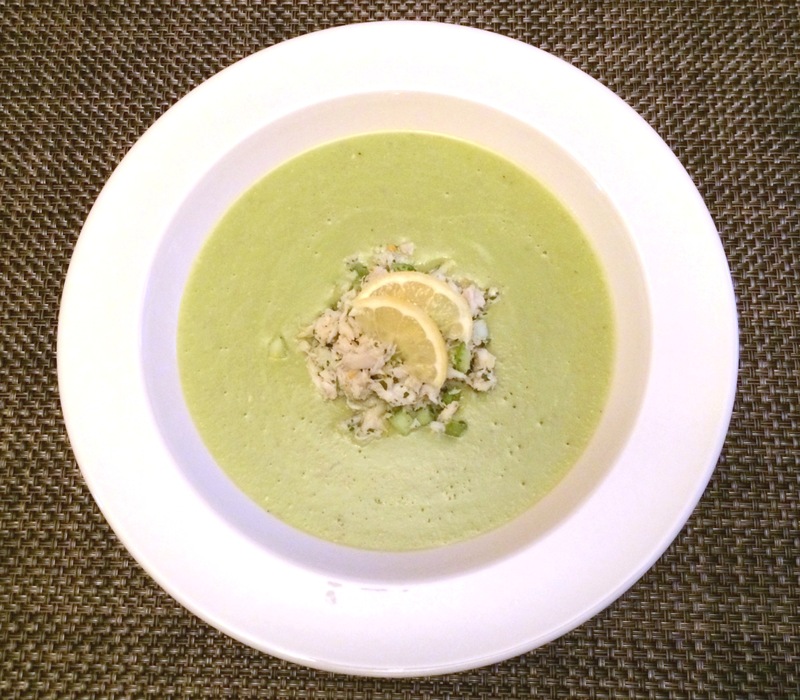 The Crab & Avocado soup (easier than it sounds) is exactly what I needed to maintain my “good wife” status! This DELICIOUS cold summer soup packed with all the goodness from avocados and sweet crab meat served with some sourdough bread is the perfect light summer dinner. I modified this Epicurious recipe to make it a bit soupier and doubled the amount of crab (hey, why not) so I can serve this as a main. Also, if you don’t already have an immersion blender, get it, it’s da bomb!! – Mix crabmeat, celery, dried parsley, and lemon zest in a bowl. Cover and chill crab salad. – Cube and pit avocados; scoop flesh into a large mixing bowl. Add vegetable stock, crème fraîche, lime juice, kosher salt, and 1 1/4 cups water. Purée with immersion blender until smooth. Season soup to taste with salt and pepper; chill. – Divide soup amongst 2 bowls. Spoon crab salad into center of each bowl. As quickly as summer arrived, it’s slowly slipping away!! Well, hold on to your zucchinis before they go out of season, we’re going to make some summer stir-fry! 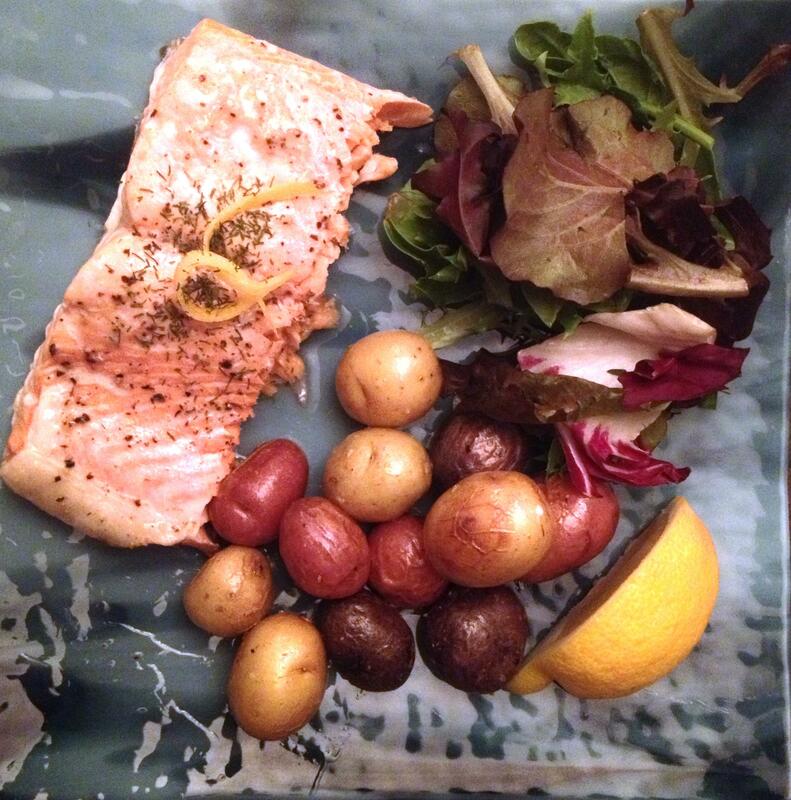 This is my latest quick dinner favorite, especially after a long day at work and a swim at the pool. Including prep and cook time, this can be in your tummy in just about 30 minutes. Celebration! – Cube Chicken, Zucchini, Mushrooms into bite-size pieces. The smaller the pieces, the shorter the cook time. – In a medium saucepan, add olive oil, sauté cubed chicken for 8-10 min on medium heat until cooked through. Set aside. – In the same saucepan, (add oil if needed) add in zucchini and mushrooms, season with ginger powder, white pepper, garlic powder, stir to coat. Sauté for 8-10 min until wilted but not mushy. 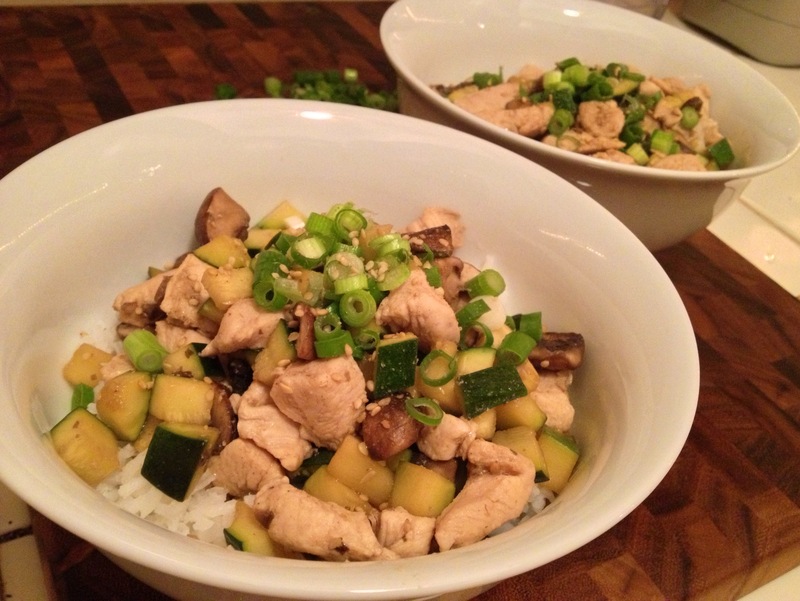 – Once mushrooms / zucchinis cook down, add chicken, sesame, soy sauce, vinegar and combine well.